Apologetics Press - Another New Audio Book! Audio books have become very popular in American culture, and A.P. continually strives to stay abreast of the latest technological developments that might enable God’s message to utilize another effective venue through which to impact people. We are pleased to announce the release of our second venture into this important media format. This second audio book consists of The Silencing of God book based on the live seminar and DVD by the same name. advocate “separation of church and state”? reject expressions of Christianity in government and public schools? intend for federal institutions to be religiously neutral? 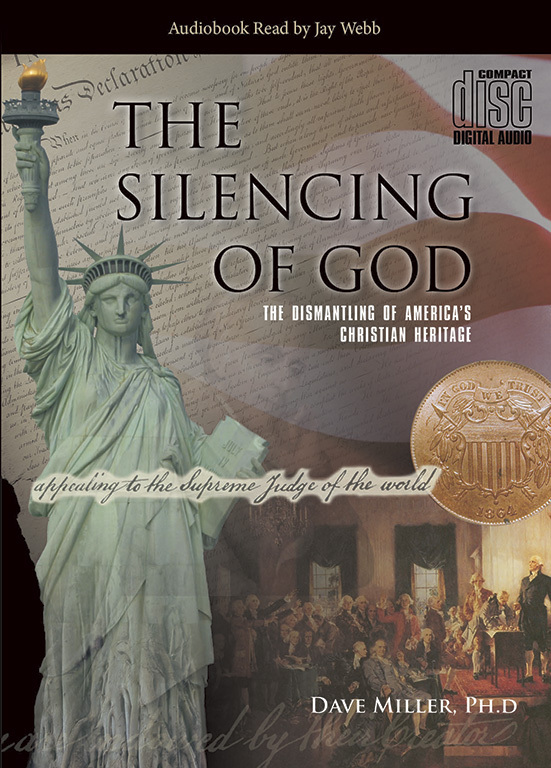 The Silencing of God issues a stirring plea to the nation to return from the depths of moral depravity, reclaim the Christian connections that have characterized America from the beginning, and reaffirm biblical values in public life. Professionally read by Jay Webb, we think you will find this audio book easy to listen to.